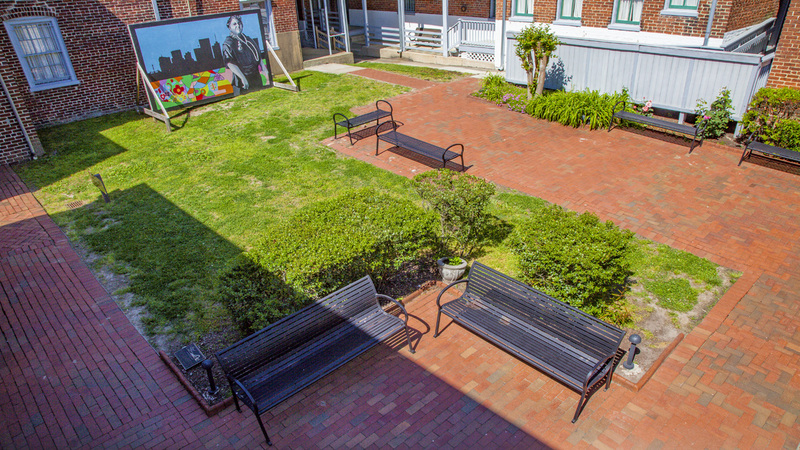 Situated approximately one mile north of the Virginia State Capitol within the historically African American neighborhood of Jackson Ward, this commemorative landscape celebrates civil rights activist Maggie Lena Walker. Born in 1864 to a formerly enslaved woman, Walker became a community leader and advocate for education, women’s rights, and African-American advancement during the Jim Crow era. She was also an entrepreneur, serving as a newspaper editor and the first African American female founder and president of a bank in the United States. 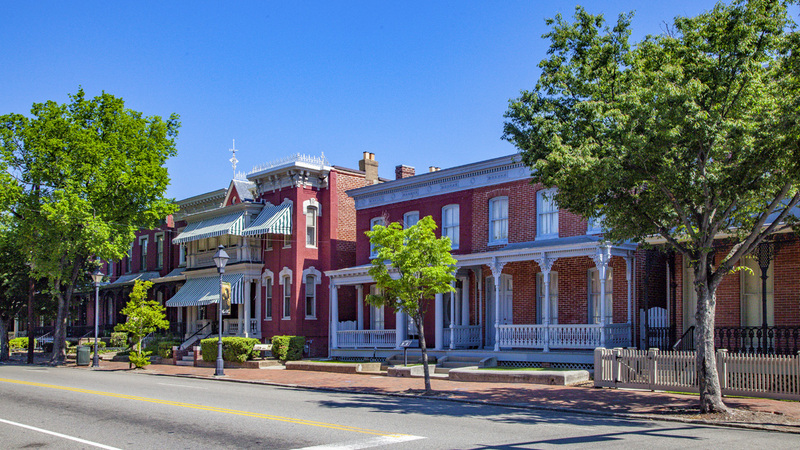 The historic site comprises Walker’s long-term residence at 110 1/2 East Leigh Street, constructed in 1883, along with the neighboring historic structures from 112 to 118 East Leigh Street and 600 to 602 North 2nd Street. 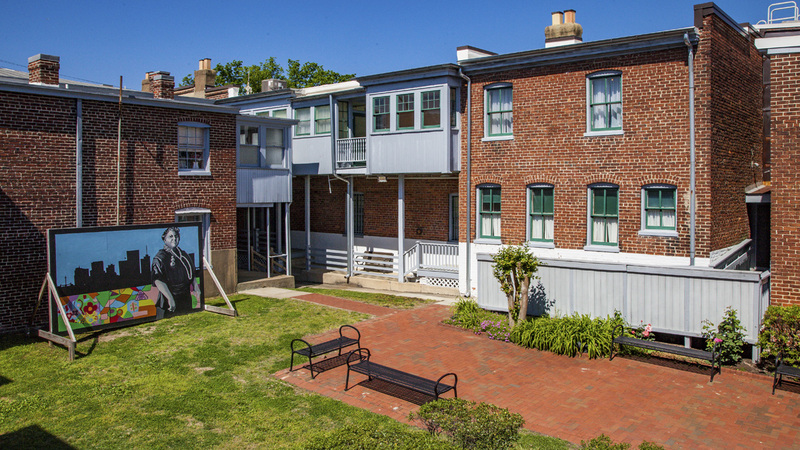 The Walkers purchased the two-story Victorian Gothic row house in 1904 on a block that became known as ‘quality row’ for the many prominent African Americans who resided there. They soon renovated the property to include electricity and central heating, and eventually expanded the home with additional rooms and a two-story garage. 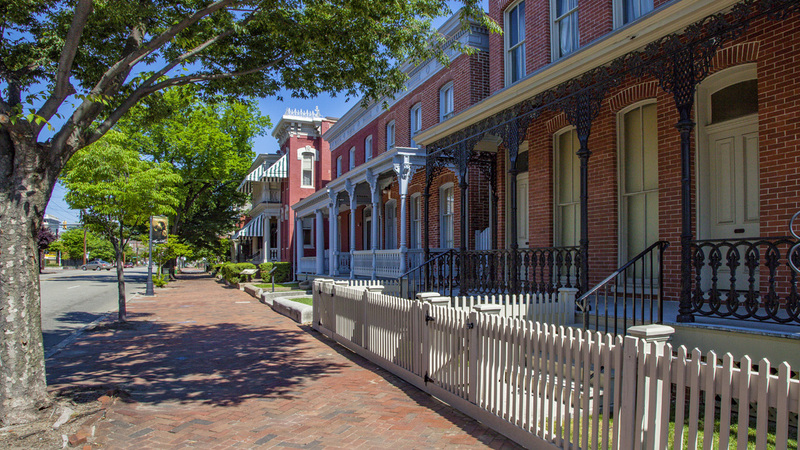 The street-facing façade features a Colonial Revival porch fronted by boxwood hedges and a herringbone patterned red-brick sidewalk lined with several street trees. 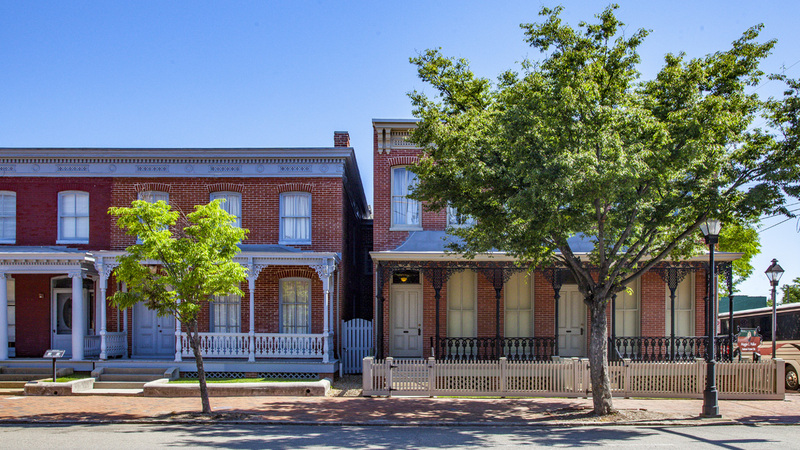 In 1975 the Maggie L. Walker House was listed in the National Register of Historic Places and designated a National Historic Landmark. 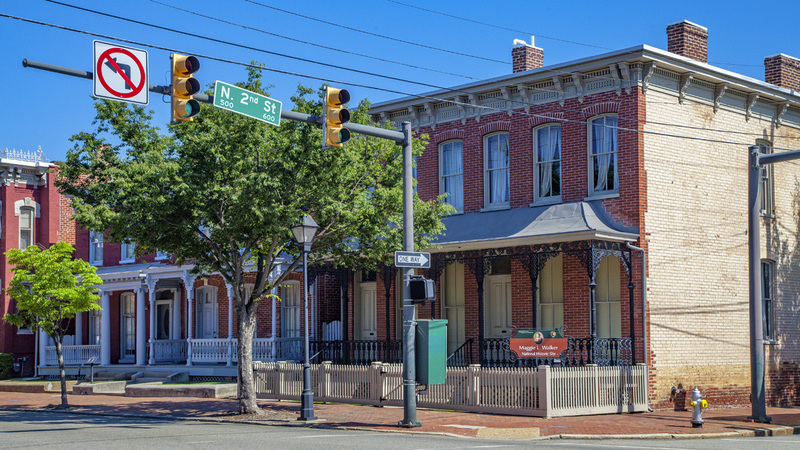 Three years later the house was named a National Historic Site. 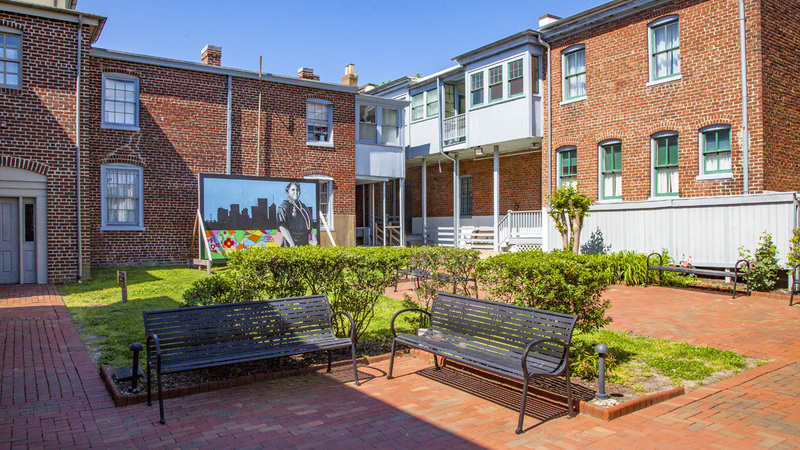 In 1979 Walker’s descendants sold the property and its contents (including original archives, art, and furniture) to the National Park Service, which maintains it to this day. 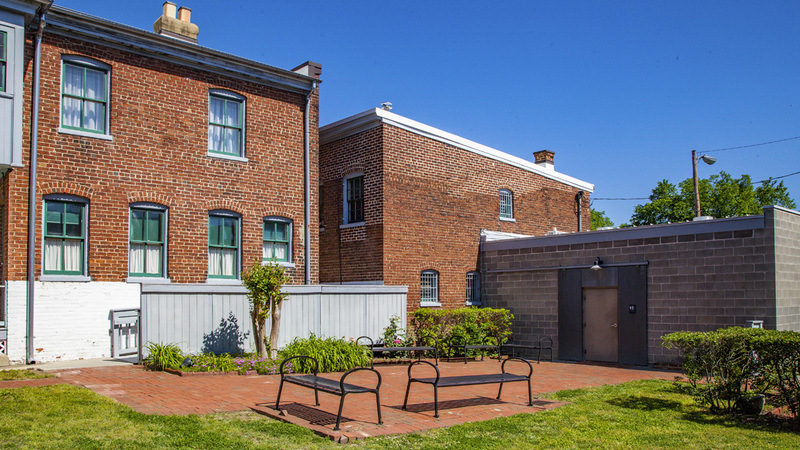 The accompanying NPS-owned and managed properties house a visitor center and exhibition hall, surrounding a small courtyard featuring minimal plantings and a seating area furnished with contemporary iron benches.